Seeking an adventurous New Zealand incentive experience which is accessible to everyone? 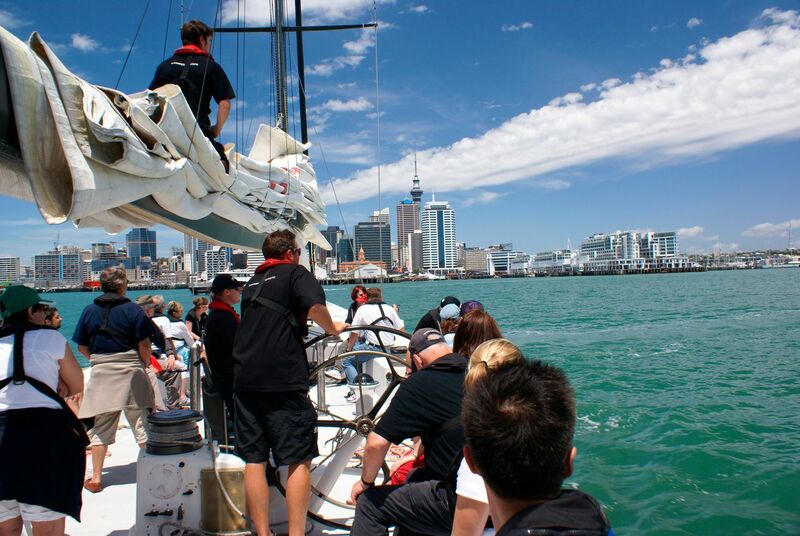 This 8 day tour for high performing corporate teams offers your group the opportunity to experience many of the North Island’s most spectacular highlights. The tour involves a variety of soft-adventure experiences that will reconnect your team with nature, drawing them deep into some of New Zealand’s most remarkable wilderness areas. Your group’s team spirit will only be further strengthened by the amazing shared experiences you’ll have together, as you zip-line, cruise, cave, canoe and sail together through our exciting series of breathtaking and unforgettable experiences. Groups seeking to up the intensity may consider our high-adrenalin South Island Thrills offering as an alternative.